Ogun State Governor, Senator Ibikunle Amosun, on Monday, announced that contractors working on all the ongoing projects across the state have been mobilized back to site. Governor Amosun, stated this while briefing journalists after the weekly State Executive Council meeting held at the Governor’s office, Oke Mosan, Abeokuta, on Monday. “Contractors working on all our ongoing projects have been mobilised back to site across the state in the last one week and activities will now resume fully in all those places,” Governor Amosun said. The Governor, who assured that no project would be abandoned, said his administration would make meaningful impacts in all the sectors especially Education, Housing, Agriculture and Health. “We are determined to change the landscape of Ogun State completely,” Governor Amosun said. In the area of road infrastructure, the governor mentioned some of the roads where contractors have been mobilized back to site to include Magboro-Arepo road; Ilara-Ijoun-Ilase road; Ejinrin-Oluwalogbon road; Ijoko-Akute-Alagbole road; Lafenwa-Ayetoro road; and Enugada-Adatan road, Ikangba-Ilese-Itele- Ijebu Mushin road that spans across four local government areas; Ijebu Igbo bridge; Ilisan-Ago Iwoye road; Folagbade-Ibadan garage-Imowo road and Sagamu-Ogijo road among several others. 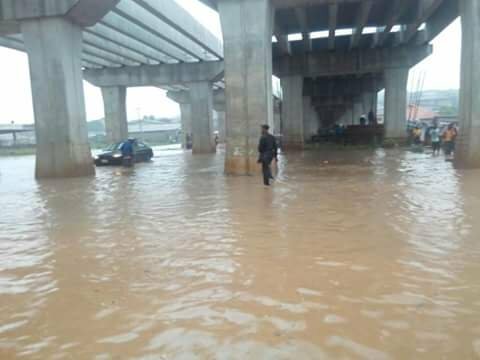 In the same vein, Governor Amosun also mentioned Atan-Agbara-Lusada road; Ilo-Awela road; Ilaro-Owode road; Ilaro township road; Ilaro township bridge and Ojuore Ota bridge among several others. He added that pedestrian bridges would also be constructed in Panseke, Mowe and Ibafo areas of the state. While explaining the capital intensive nature of the Sango-Ojodu Abiodun road, Governor Amosun said contractors have also been mobilised to return to the project while assuring that the five flyovers on the road would be the first to be completed. Governor Amosun further revealed that rural dwellers are not left out in the infrastructural development assuring that contractors have been mobilised to work on rural roads across the state. The Governor also reaffirmed his administrations’ commitment towards completing the Abeokuta City Center, the Airport, and railway projects before the end of his tenure of office. Governor Amosun also called on the Federal Government to cede some of the Federal roads in the state such as the Sagamu-Ogijo road, Papalanto-Interchange road, Epe-Ijebu Ode road and Lagos-Sango-Abeokuta road to the state for proper maintenance. The Governor who commended the President Muhammadu Buhari led government for leaving no one in doubt about it’s intention to fix the huge infrastructural deficit in the country, revealed that the Federal Government has promised to refund N124 billion naira to Ogun State government for the federal roads reconstructed across the state.